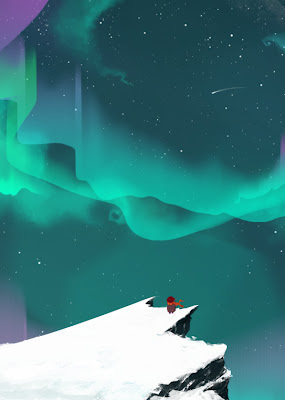 I always loved aurora borealis. I don't know why I never painted one before! So that's it for today's sketch!